5 great ways to relax in Saigon! Honking horns, throngs of motorbikes, packed pedestrian sidewalks, street vendors on every corner selling everything from greeting cards to charcoal-grilled delicacies, and the intense afternoon heat are all attributes that make Ho Chi Minh City a great place to make a custom itinerary in Vietnam. With constant stimulation, every second spent in the city, vacations in this lively setting can get quite exhausting. The perfect solution to rejuvenate your senses is just around the corner. Here are a few suggestions on how to find your personal oasis in a thriving city. In a city with tens of thousands of motorbikes and cars, rush hours can become overwhelming after a while. A retreat into a lush, green space can be an excellent recharge. Fortunately, Ho Co Minh City has beautiful parks that may make you feel, for an instant, that you are in a different world altogether. The Cong Vien Van Hoa Park is an excellent place to escape the afternoon sun, people watch, and admire the sculpture art placed throughout the space. 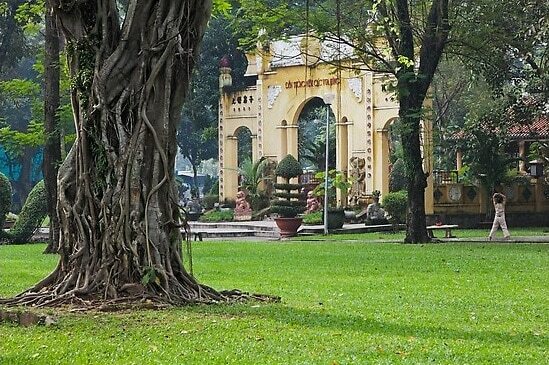 An old clubhouse in the centre of this park pays homage to the French colonial period in Vietnam – a must see! Another favourite is the Cay Xanh Park (literally translated as Green Tree Park). Join along with the many Tai Chi enthusiasts who frequent this park or take some time to enjoy the view of the city through the trees. 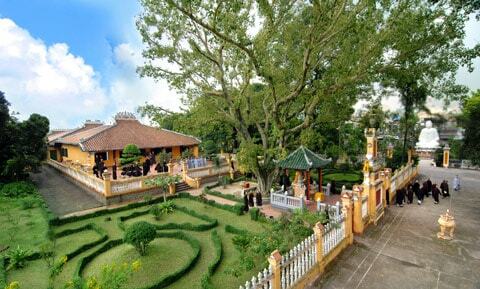 Cong Vien Van Hoa Park – enclosed within the streets Nguyen Thi Minh Khai, Truong Dinh, Nguyen Du, and Cach Mang Thang Tam. Cay Xanh Park – located at the corner of Vo Thi Sao and Hai Ba Trung. Ho Chi Minh City’s urban spread seems to be outward not upward, but it’s a matter of quality versus quantity. Even though this city is not packed with skyscrapers, many of them have beautiful rooftop terrace restaurants and bars – a great way to see the bustle from a distance. As packed as the streets are during a busy work day, sitting on the rooftop with a chilled drink in hand makes the city seem vast and spacious. 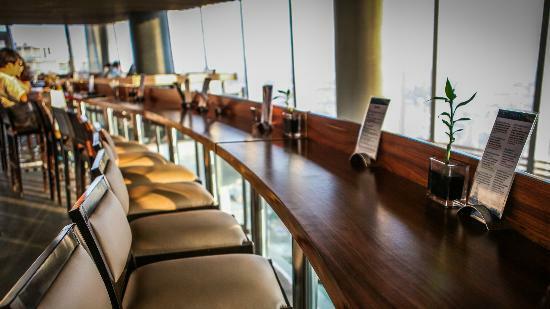 Visit the 50th floor restaurant of the Bitexco tower for breathtaking views from the highest eatery in the city, enjoy a cocktail at Chill Skybar, or relax in the garden rooftop of the Rex Hotel. The Strata Saigon at the Bitexco Tower – enjoy High Tea from 2:30-5:00PM for VND 350,000 per person. Chill Skybar – open from 5:30PM-2:00AM daily with different genres of music on each night of the week; choose drinks or food from an eclectic menu; strict dress code; www.chillsaigon.com. Rex Hotel Rooftop – world class food, cocktails, and snacks enjoyed throughout the day; located at 141 Nguyen Hue Blvd, www.rexhotelvietnam.com. To some, the perfect relaxation activity means curling up with a hot cup of coffee and delving into a riveting piece of fiction and giving one’s mind a gateway into imaginary bliss. Well, fear not! Ho Chi Minh City has some of the unique coffee shops where not only can you sample Vietnam’s prized crop at its finest but also peruse the shelves of novels for something you fancy. Try the PNC Book Cafe in District 1 or Hub Cafe, another popular haven for readers. For the multi-linguists, Hub Cafe has a wide selection of Vietnamese and foreign language books! PNC Book Cafe – 2A Le Duan Boulevard, open from 8:00 AM to 10:00 PM. Hub Cafe – 18A Cong Hoa Street, Tan Binh District. As hectic as Ho Chi Minh City can be, finding refuge in a spiritual haven may be just the thing to re-energize one’s mind and body. Temples and pagodas are at the heart of Vietnamese faith and spirituality. These architectural marvels can be found all over the city and some of the oldest ones also have a unique religious, and sometimes political, history. Each temple has a special significance – some are frequented by people seeking prosperity and some for fertility. Chua Ong Pagoda is popular among those praying for wealth and fortune but can get quite crowded throughout the day. The Giac Lam and Emperor Jade pagodas are also popular tourist destinations but are hauntingly beautiful in their architecture and feel. For a quieter path to inner sanctity, visit the Chua Ba Thien Hau pagoda near the Chinese area of Ho Chi Minh City. Chua Ong Pagoda (Ong Bon Pagoda) – 264 DL Hai Thuong Lan Ong. Giac Lam Pagoda – 118 Lac Long Quan Street, open hours between 5:00 AM to 12:00 PM, no admission charge but feel free to donate if you wish. Jade Emperor Pagoda – 73 Mai Thi Luu Street, open hours between 8:00 AM to 5:00 PM; as is the case with most pagodas, feel free to donate if you wish. Thien Hau Pagoda – 710 Nguyen Trai Street. 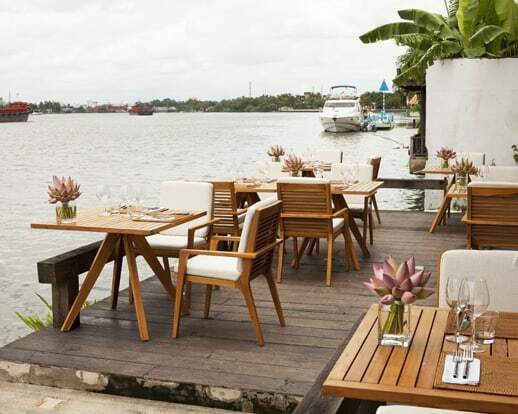 To get away from the hectic city noises, a soothing place to find refuge are the scenic banks of the Saigon River. The river snakes around the entire city so there are many places to access the tree-lined river banks and find a place to sit and enjoy the view. For an instant sense of peacefulness, stand at the quay in District 1 and watch the silhouette of fishermen along the river during a beautiful evening sunset. Or, take part in Yoga on The Deck at The Deck Saigon restaurant for an invigorating experience in a calming setting. Fishermen watching at the pier – sunset usually occurs between 5:30 and 6:15 PM. Yoga on The Deck Saigon – between 250000 VND and 300000 VND admission; weekend classes include a croissant and juice; see thedecksaigon.com/yoga-on-the-deck for more details. 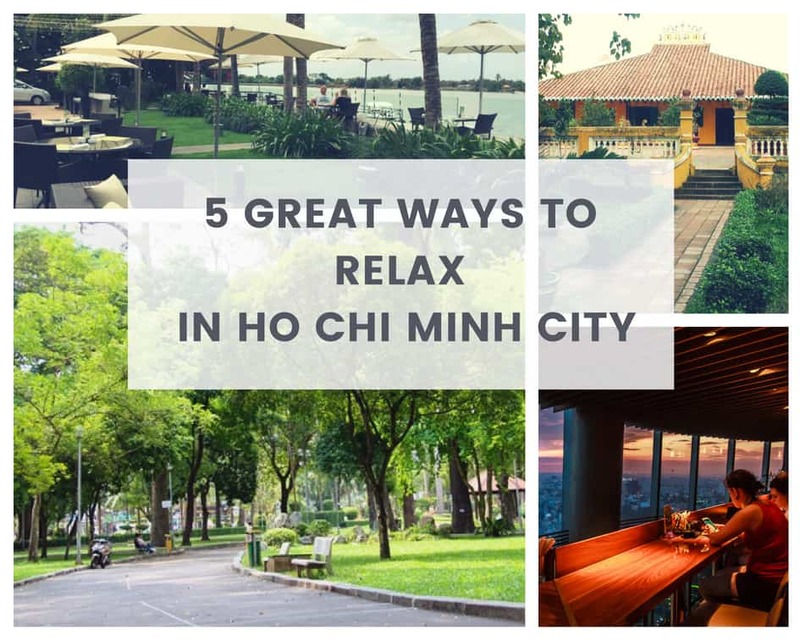 Best of luck in creating an urban relaxation experience during your adventures in Ho Chi Minh City! We hope you enjoyed these Vietnam travel tips brought to you by XO Tours, voted one of the top things to do in Ho Chi Minh City by the users of Tripadvisor! The Best places for Great Photos in Saigon!